The Public Services (Social Value) Act was implemented in January 2013 and requires all public organisations to consider social value in the procurement of services above a certain threshold. Private sector organisations bidding for work with the public sector may already have come across the Act within tenders and some private sector organisations, may be interested in adopting the spirit of the Act because they see that it is the right thing to do. The National Social Value Task Force is conducting a nationwide survey to better understand the support that business needs to help it understand and embed social value in a way that wins more work and ultimately delivers better outcomes for our communities. Do you, or people in your organisation work to support children in care or care leavers? Or perhaps you lead a group or club and know a child in care or care leaver? Has that young person achieved great things over the year? This could be through learning, sport, art, music, drama, in the community or just on a personal level. The Epic Awards and Stars Awards is an exciting evening of celebration which brings the city together to recognise the achievements of children and young people in care in Bristol. Young people who have had chaotic or traumatic starts to their early lives and achieved against the odds. The EPIC Awards are for children in care aged 5-17 and the Stars Awards for young people aged 18-25 who are leaving care and embarking on adult life. if you think you can nominate someone, read more here. Deadline for nominations 10 July. Looking for flexible & affordable meeting space? Read more about Looking for flexible & affordable meeting space? I am working to place Polish administration/accountancy students Bristol companies as part of the Erasmus + EU funded scheme. These are fully funded placements which means it will not cost the company anything. The students will be living in Bristol with their own bus passes. They are travelling from Poland so are really quite committed to their careers and are studying to go into administration/accountancy full time. If you could be interested in using their support they can help with general administration, invoicing, data inputting, research and any other office tasks. These students will be aged between 17 and 19 years old. Please can you get in contact using the number or email below if you are interested or have any further questions. We do also have other dates and work experience types. Do you need help with copy-writing? If you'd like to talk informally about how we might work together, I'm always VERY open to meeting in a Bristol cafe for a cuppa, cake and a chat! Just drop me an email. Read more about Do you need help with copy-writing? Bristol Mediation has spaces available on its next mediation training course which starts on 10th January. These spaces are free in return for a voluntary commitment of 2 years (95 hours per year). If you have a passion for equalities issues, are keen to help those affected by discrmination, hate and conflict in Bristol and can make a two year commitment to working with people in neighbourhoods and communities we can offer this valuable training free of charge to you and help you develop as a community mediator. This foundation course helps you learn transferrable conflict management techniaques that can also benefit your community, home life, workpalce or other groups that you may work for/be associated with. We are particualry inteested in hearing from groups that are currently underrepresented within our organisation including: those from BAME communities including Eastern European, Persian, Middle Eastern; or those from LGBT+ communities, or individuals who consider themselves disabled or people living in Hartcliffe, Withywood, Bishopsworth, Hengrove, Sea Mills, Avonmouth Shirehampton, Brentry, lawrence Weston and Hillfieds and Fishponds. However if this was of interest and you do not fit into any of these priority groups if spaces are not filled on the training we would consider your application. The training takes place over 6 days - 10th, 11th, 12th, 17th, 18th and 19th January from 9.15 for a 9.30am start until 4.30 each day which will be in Easton Bristol. if you would like to apply please fill in the attached application form and equalities form and return this to us at volunteermanager@bristol-mediation.org. Closing date for application is 5.30pm on Friday 5th January 2018. For further information please call Jules Cox, Director, Bristol Mediation on 0117 9415379 up to 22nd December and then from 2nd January, Ishshah Fleming, Volunteer Manager on 0117 9415379. We are a Social Enterprise based in Wiltshire whose core business is an online management system for clubs and groups (www.RunAClub.com) We work throughout the country with a wide range of Councils, national and local sports groups and youth services, all of whom use the online platform to track use, monitor outcomes and report on impact. During our work with a variety of local charitable groups, we identified a gap in the market for the provision of ad-hoc administrative support. We found a range of commercial administration services however none had the knowledge and experience of the voluntary and not for profit sector we have within our team which has lead us to launch Runyouradmin.com. • Would you like to be able to help settle disputes and arguments? • Do you want to benefit the community or your workplace? • Would you like to improve your home and work life by applying the skills there? • Do you want to learn mediation skills and become an accredited mediator? Bristol Mediation is a registered charity, providing conflict resolution services and restorative approaches across Bristol and the surrounding area for over 29 years. We are offering a nationally accredited training programme in mediation and conflict resolution skills. This is a unique opportunity to benefit from this highly valued training. The training will run in September 2017 and will take place over five days from 9.15am to 4.30pm. It is an essential course requirement that trainees attend all course dates. Attendees will be assessed on day five of the course and you will also need to undertake some private study. Course Dates: 18th, 19th, 20th, 25th & 26th September. The cost of each place includes all course hand-outs and assessment materials, accreditation and registration with OCN (Open College Network), all trainer and venue hire costs, refreshments and lunch each day throughout the training. How could gigabit full fibre broadband boost your organisation? Give us your views! There are more opportunities than ever before for Bristol organisations to access ultrafast speeds and full fibre broadband thanks to new investment and competition in the broadband market of the city region. The UK Government is helping by committing £1 billion+ to full fibre and wireless (5G) and developing a range of initiatives to help organisations join a full fibre future. 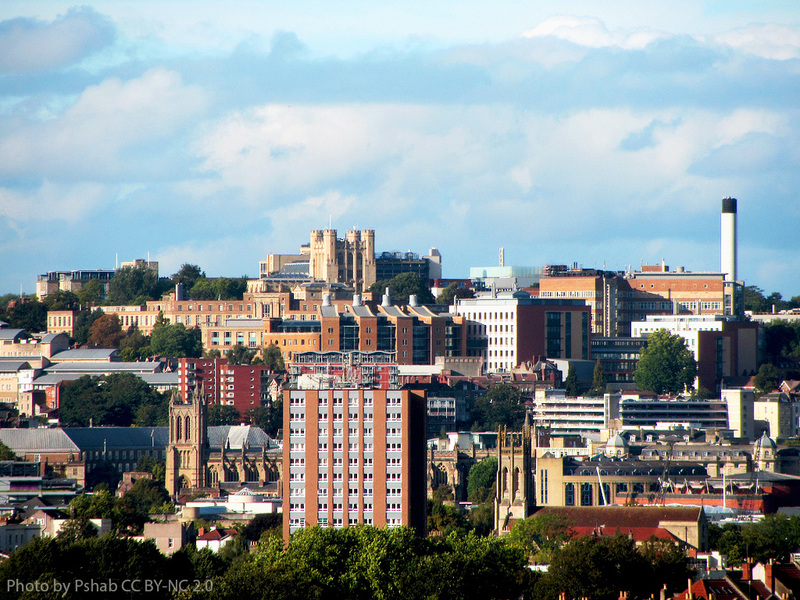 To help prepare, Bristol City Council wants to get an up-to-date view of Bristol's businesses and organisations, large and small, of their experiences of their broadband connection and the demand for full fibre broadband, ultrafast speeds (above 300 mbps down) and higher quality connections. Please take the Bristol business / organisation broadband survey (takes about 5 minutes) http://www.smartsurvey.co.uk/s/broadband/ Respondents completing the survey can opt-in to invites to future seminars to hear from other organisations about their experiences and speak to telecoms providers. Read more about How could gigabit full fibre broadband boost your organisation? Give us your views! Would you like to find out about the Volunteer, Opportunities and Enrichment Programme at Spike Island and what we can offer you? Please Contact volunteer@spikeisland.org.uk to book you place.